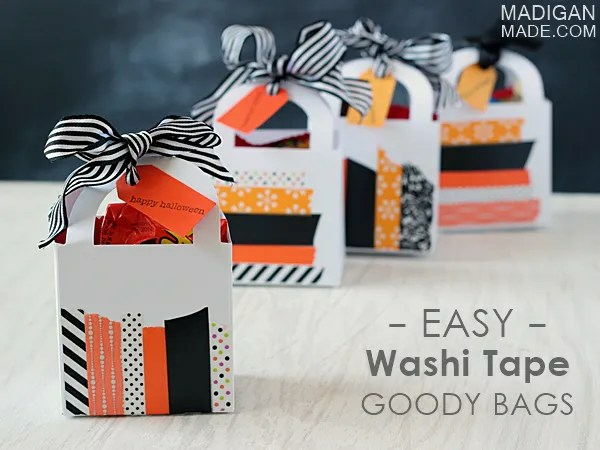 Madigan made… easy Halloween goody bags. 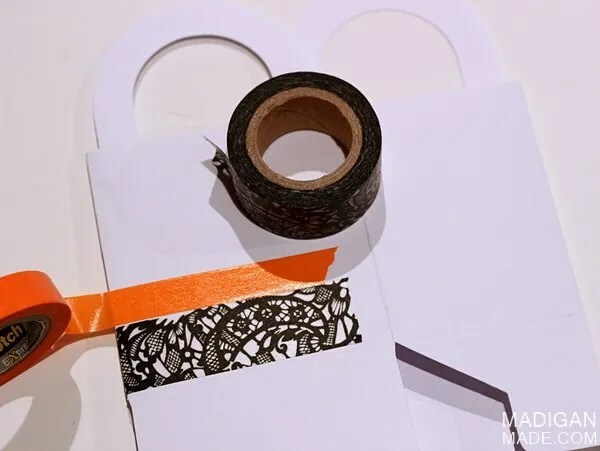 I’ve said it before and I’ll say it again… but cute tape is one of the easiest way to craft for a holiday. Bring the bags home and attack them with orange and black tape. 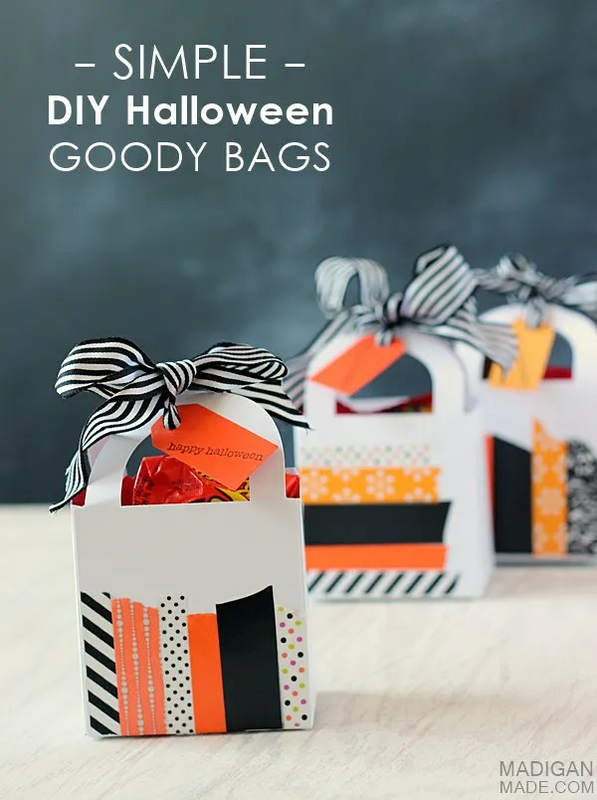 Easy-peasy, customized goody bags for your favorite trick-or-treaters! 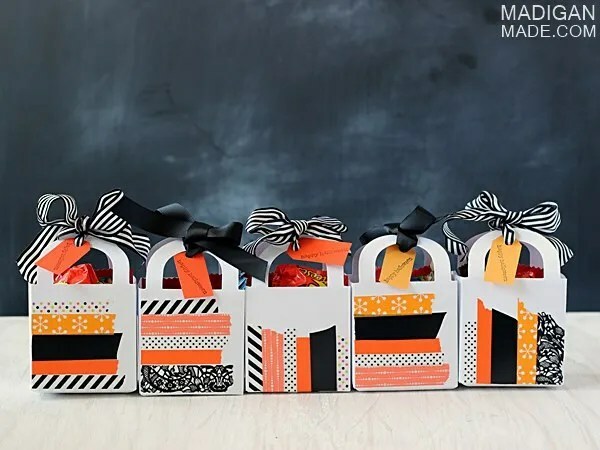 Before folding and assembling each treat bag,cut/tear strips of washi tape and press them onto the front panel of each bag to create a striped pattern. Mix the directions up vertically and horizontally if you want for each bag. 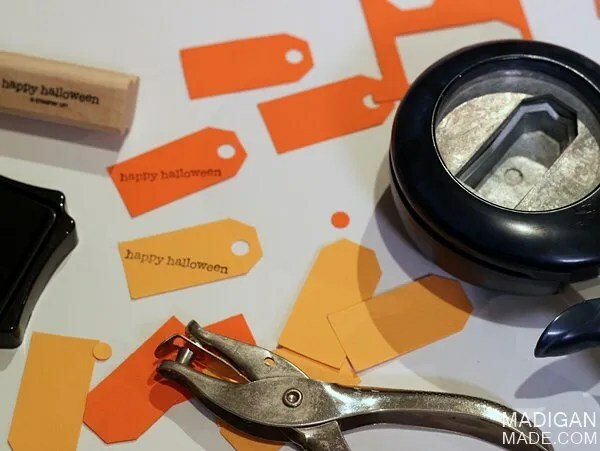 If desired, make tags using the card stock, paper punches and a stamp. Fill your bag with candy and attach your tag to the handles using pretty ribbon. That’s it! I’m planning to bring these bags into work for some of my coworkers. 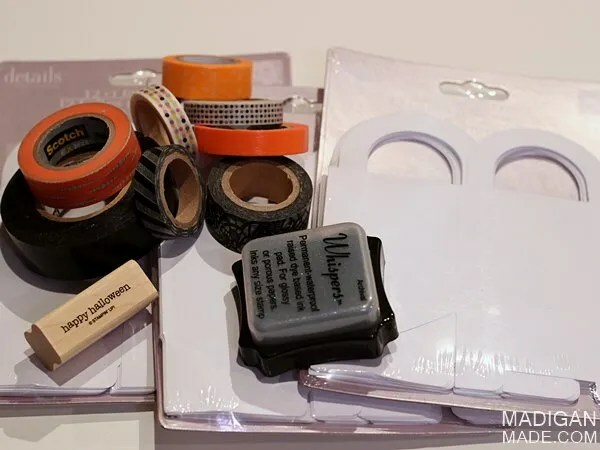 I love that you can use these inexpensive favor boxes and decorate them for any holiday or occasion… just change out the color combo of the tape!